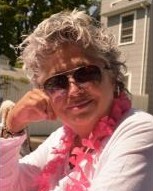 Colleen Mullaney, age 57, passed away Monday, May 7th at her home in Eatontown. Born on Feburary 16th, 1961, she was the daughter of Rose Marie Gallo Mullaney and the late James Michael Mullaney. Colleen lived her life to the absolute fullest, and was always quick to find humor in any and all situations. She leaves behind 4 sisters, Kathleen, Raeann and husband James, Patricia and husband Paul, and Kelly Rose and her ex-husband John. She was a devoted aunt to 8, and great aunt to 10. She was not only an aunt, but a loving godmother to 2, Dominique and Jessica. It was hard not to be laughing or smiling when you were in a room with Colleen. Colleen will be truly missed by all those who's lives she touched, but she lives on in the countless memories we are blessed to have with her.